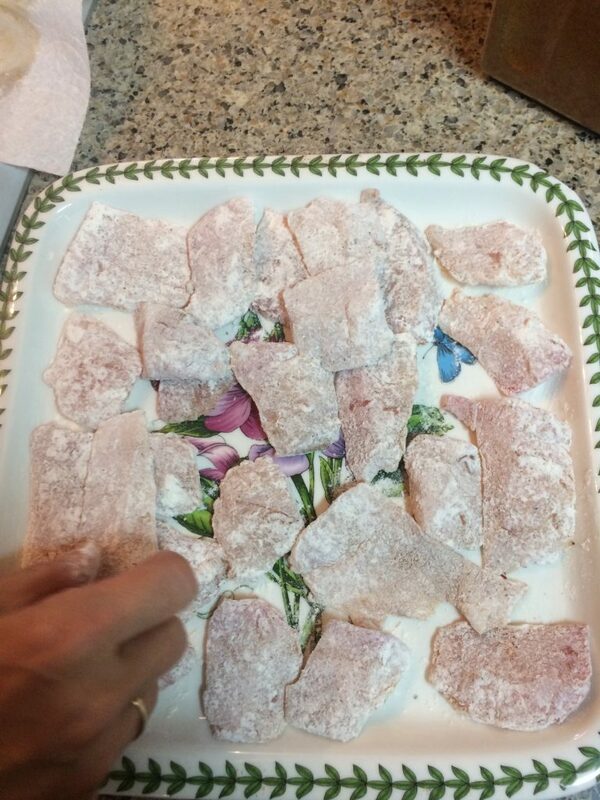 Fish jun is a simple Korean way to make fish that is flour and egg battered. For how simple this recipe is, people mess it up. They don’t know that you have to follow a few simple steps to get it to come out right. 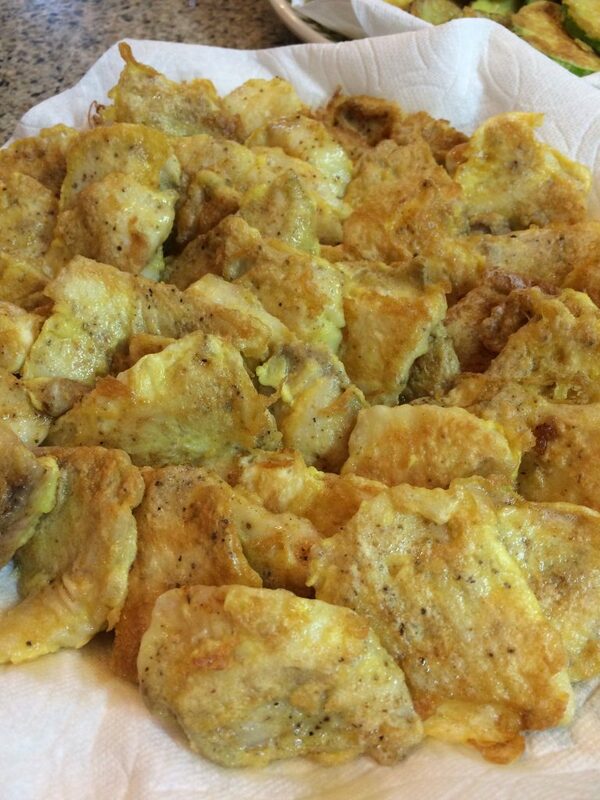 Jun is a Korean recipe to make food in which something is “flour and egg battered”. 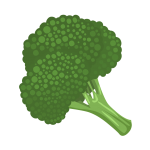 It’s light and delicately crispy. It’s simple and delicious. Jun is actually a word in Korean that means “Flour, Egg battered, and pan fried.” You have probably guessed by now, that the recipe for Fish Jun is simply a fish fried with an outer egg wrapper. But wait, you need to know a couple things before diving in. How Do You Make Fish Jun? Fish Jun is an easy Korean Recipe that anyone can make. 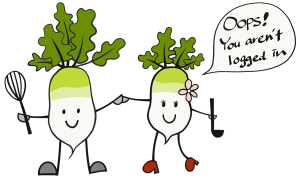 There are basically two tricks that I do to make this recipe taste great. The first trick is how I season my fish, I actually use a spice that is totally not Korean, but it tastes great. 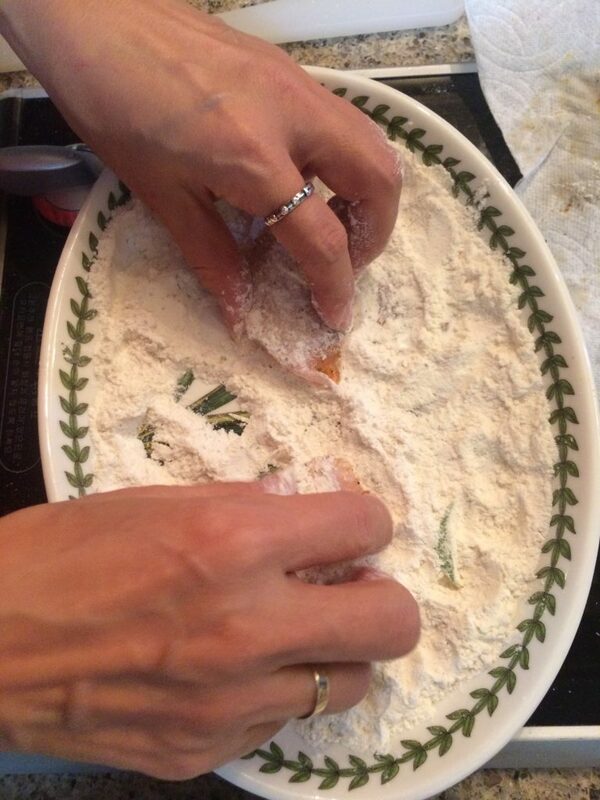 Next you need to know how to get the flour and egg to stick. My family asks me often how I make the fish jun taste so great, I kind of smile, and say with my love. But I am going to reveal my secret here. Gather the ingredients for making fish jun. Then read the tricks found here. Slice the fish at a diagonal bias to create pieces that are about (1 1/2 x 2inch) or (3.5 x 5cm). 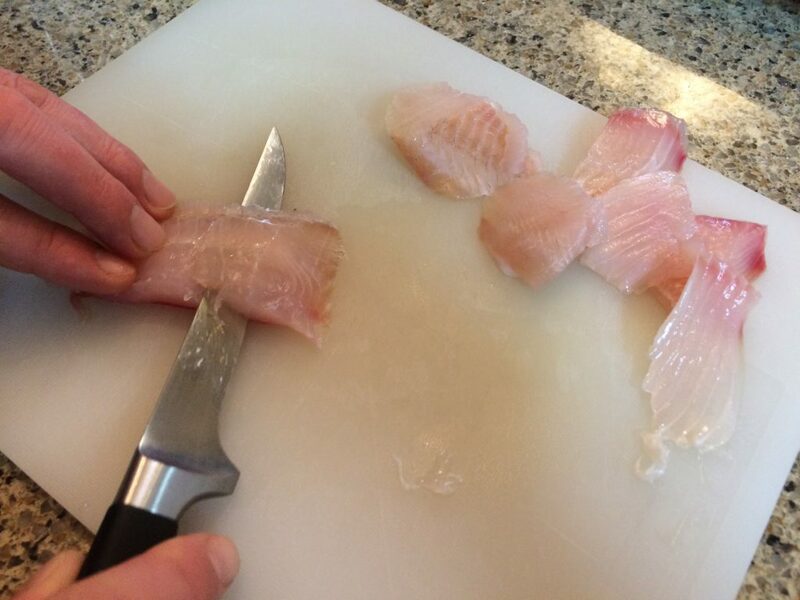 Repeat this process to slice all the fish to this size. 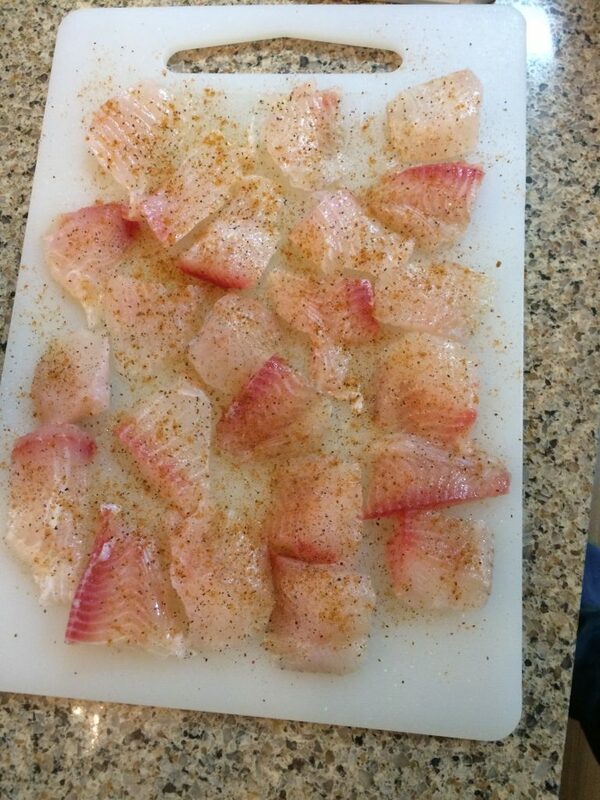 Lay the fish out on a the cutting board for seasoning. 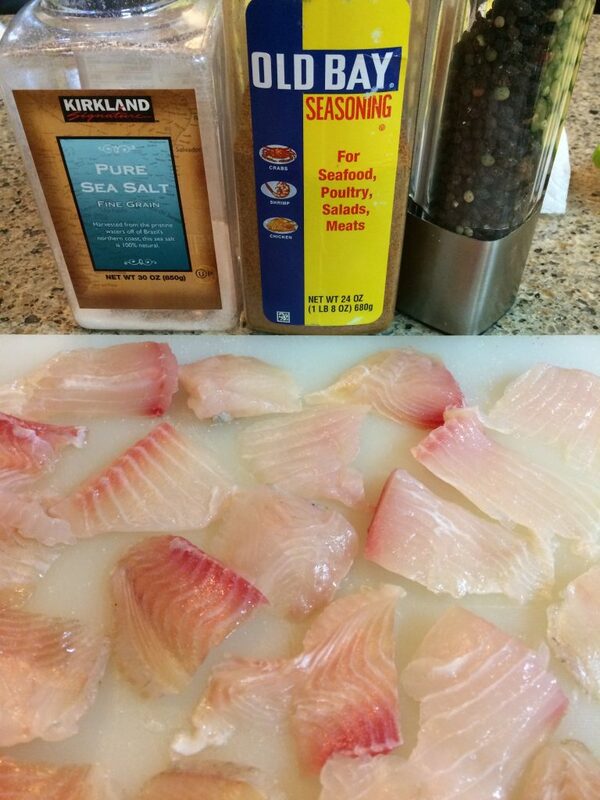 Season the fish with salt, black pepper, and Old Bay seasoning. 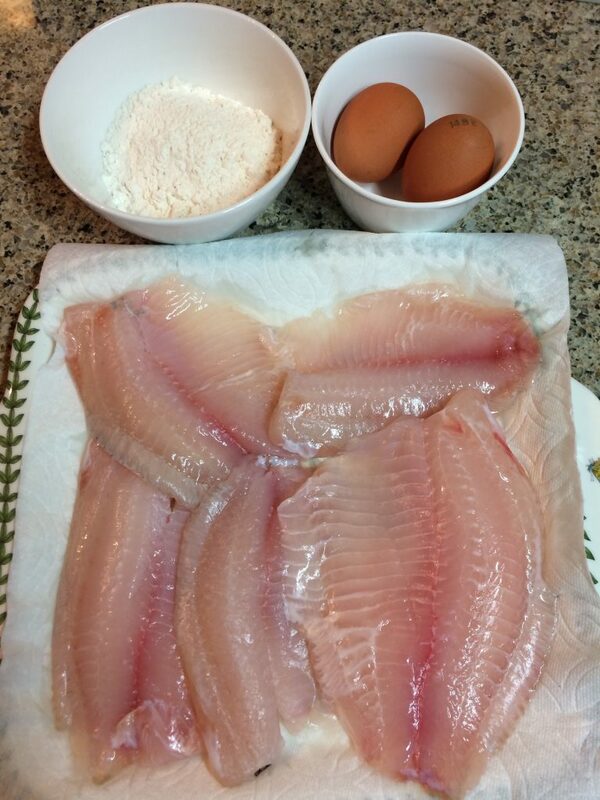 Liberally coat each piece of fish with flour, shaking off excess. Let the fish rest five to ten minutes with the coat of flour. 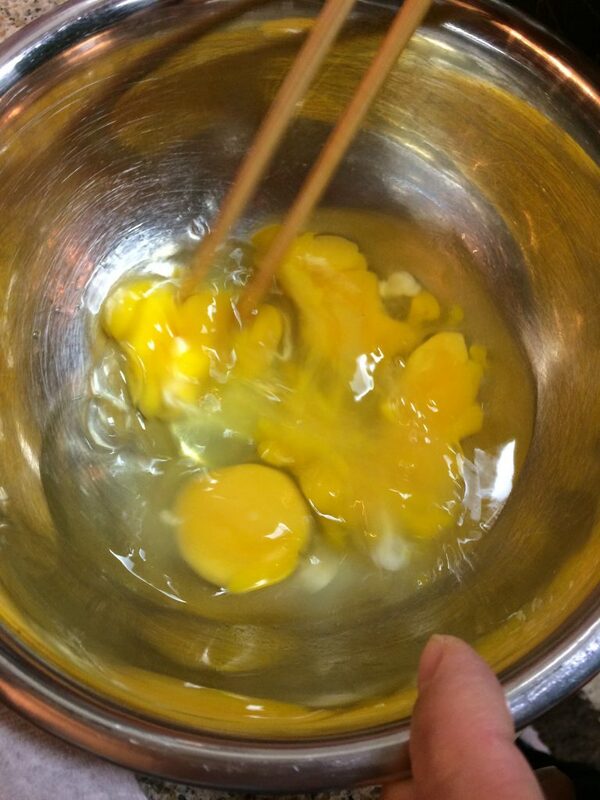 While the fish is resting whip the eggs in a mixing bowl. 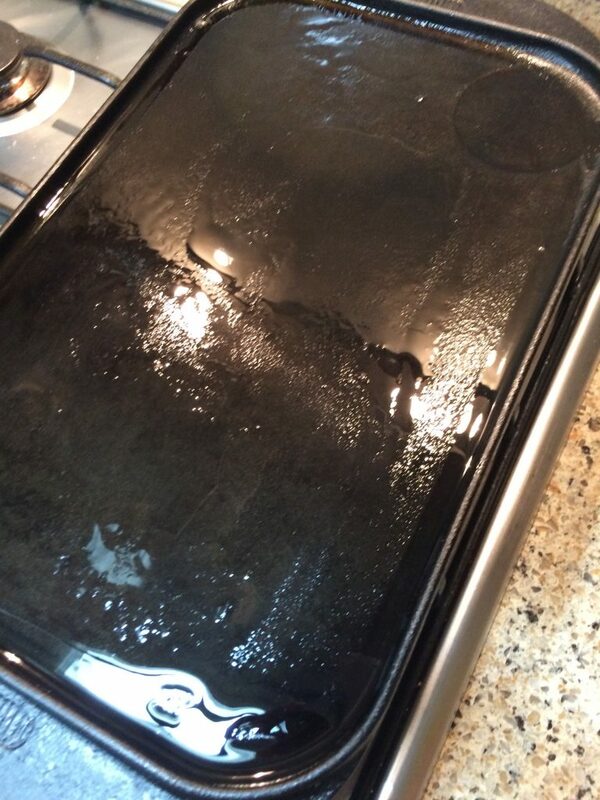 While the fish is resting preheat the griddle on medium-low heat. Start to transfer the fish to the egg wash in batches. Let the fish sit in the egg wash for three to five minutes. 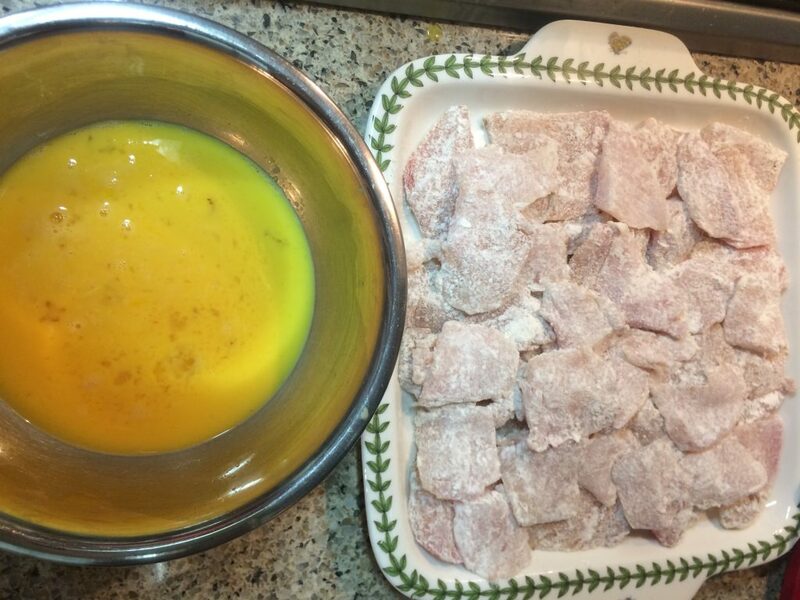 Transfer all the fish from the egg wash to the griddle, and put the next batch of fish in the egg wash. 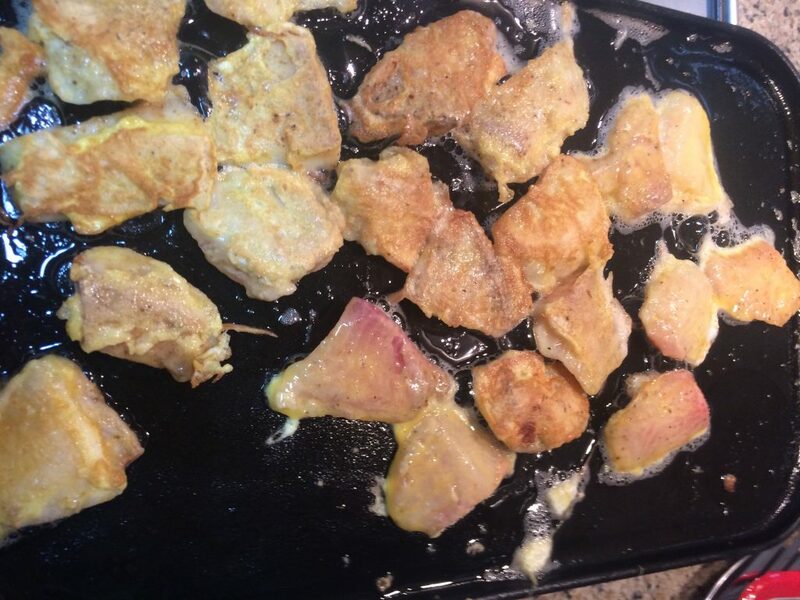 When the first batch turns golden brown on one side, flip the fish over to the other side. Then transfer the next batch from the egg wash to the griddle. Repeat this process until all the fish are cooked. When fish is golden brown on both sides transfer to a plate lined with paper towel. 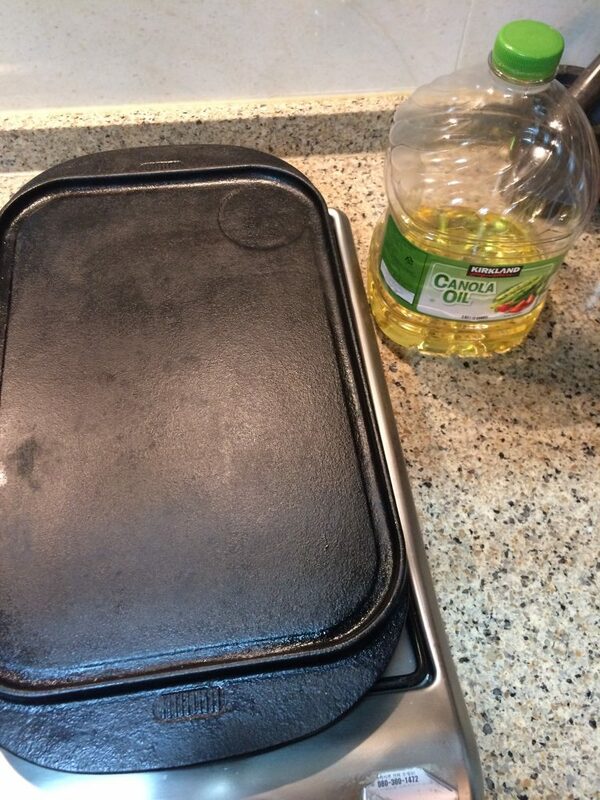 The oil listed in the ingredients section of the recipe is the amount of oil that is expected to be absorbed by the fish during the pan frying. 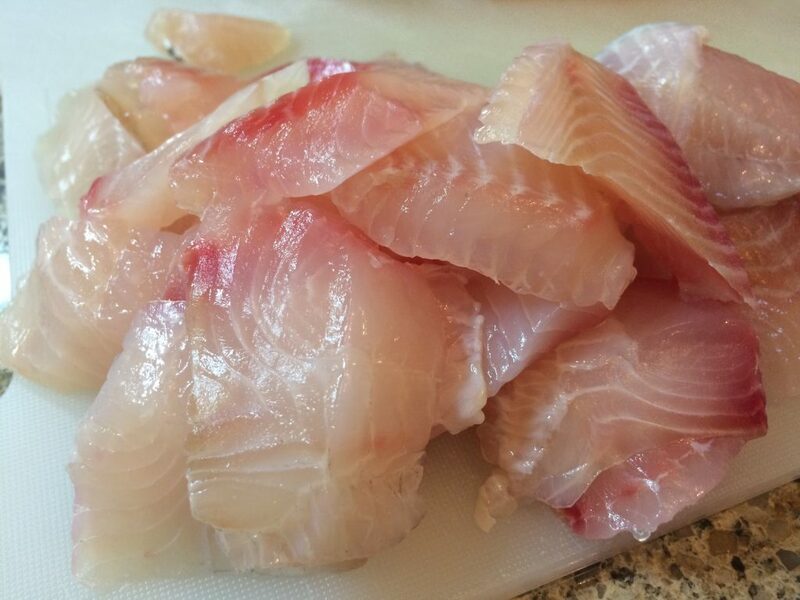 It is there for the nutrition calculation, and not intended as the amount that you will need to pan fry the fish. Please use a heart healthy oil for making fish jun.